Founded in 1981, Bray Air Display is now a firm fixture in the Irish Festival Calendar, with its reputation growing in stature, both nationally & internationally, year on year. 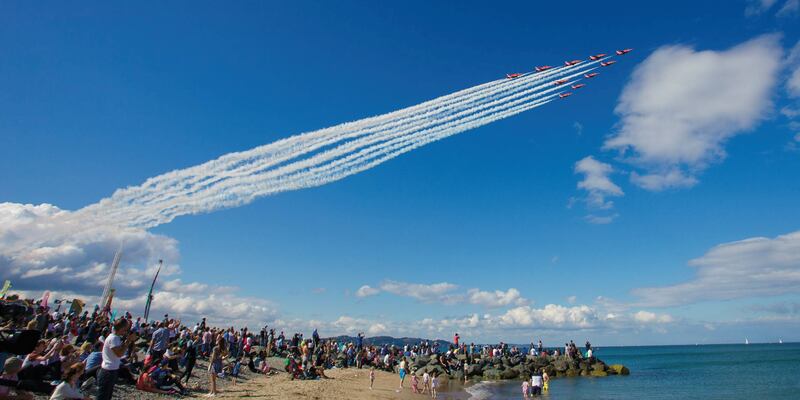 The Bray Air Display is the biggest public free event in Ireland. 2018 saw over 140,000 people attending the overall 2 days event. It also has the largest movement of the public on the Dart network outside of commuting. RAW Marketing and Artisan Events have been involved in the event, running the Food and Craft market since 2013. In 2018, the market gathered over 70 traders over the course of the two days.